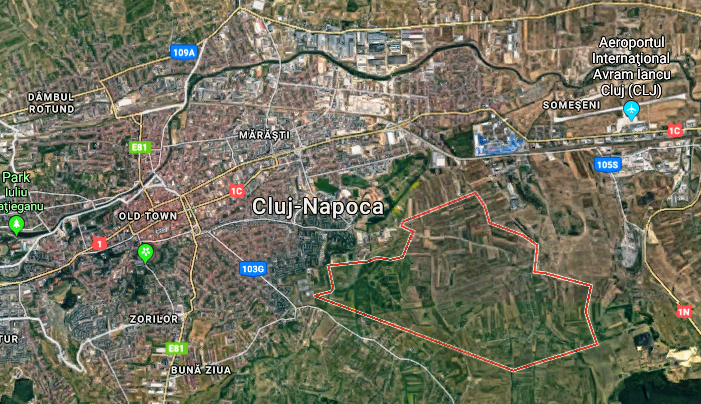 The Cluj-Napoca City Hall prepares to develop a new neighborhood in the city in Colonia Sopor area. Local authorities have decided on a 24-hectare area to become a giant residential zone withe more than 120,000 inhabitants. In the city were built around 1,600 homes in the first half of the year, being second in the country after Bucharest-Ilfov area. The new area will be at the time of completion, the city’s largest neighborhood. For the construction of the new neighborhood in Colonia Sopor, at the eastern boundary of the city, two studies are currently being carried out: one topographic and one geotechnical one. Architects will have to determine, given the configuration of the land, exactly where the streets will pass, as well as where there will be only parks, but also where the dwellings will be, how high they will be able to either these buildings. For this, the local authorities will organize an international competition where architects from all over Europe will be able to sign up to build in Sopor Colony. The City Hall ordered an integrated PUZ, and the private developers will work on an area with predetermined settings. The neighborhood will have together with housing, every services needed by the population, schools, kindergardens, social services, stores, entertainment area, large streets and it will contribute to the decongestion of city traffic. The post Cluj-Napoca City Hall wants to develop a 120,000 people neighborhood in the city appeared first on Business Review.